The characteristic tinkle of an ice cream van is one of the sounds of summer. Like any other catering business, though, it can be tough to make ends meet, and every penny counts. If you’re running your own ice cream business or are part of a franchise then you need to make sure your assets are protected. You’ve invested a lot of time and money into your business, so it makes sense to insure those assets and give yourself complete peace of mind. And that’s where Park Insurance can help – with their specialist ice cream van insurance. For over 30 years Park Insurance has been working with the community to build strong business links, understand the challenges local business owners face, and deliver insurance packages that are specifically tailored to fit your exact requirements. 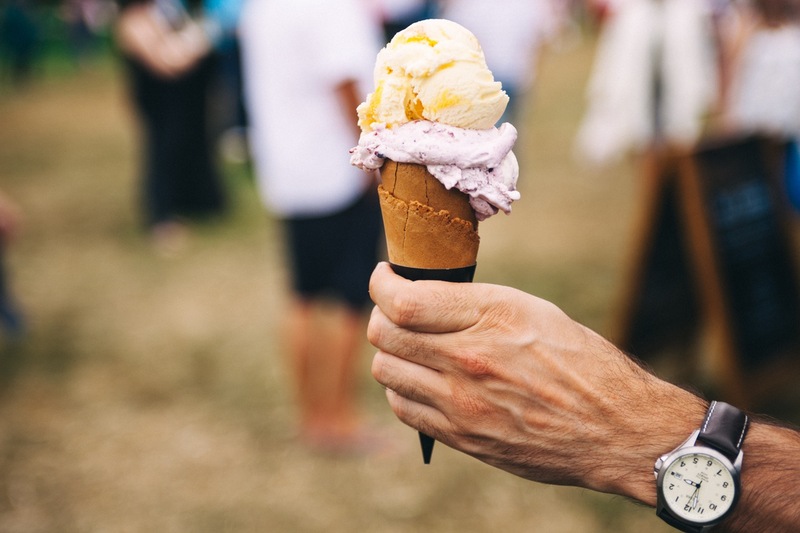 Combined with our passion for food, our close connection to the hospitality and catering trade and a genuine love of ice cream (well, who doesn’t? ), we have a unique insight into what our customers need and want. And thanks to our position as preferred brokers to some of the UK’s biggest insurance providers, we can get exactly what you want at a price you can afford. Getting properly insured doesn’t have to break the bank, or impact on your profit margins. Being uninsured certainly will! What type of ice cream van insurance do you need? There are three key things you need to protect – your assets, your finances and your customers and staff. Ice cream van insurance packages should include cover that shields all three of these, as well as bespoke specialist cover for individual items. Public Liability insurance – PLI is the most comprehensive form of protecting you and your business financially should the worst happen. So for example if someone is hurt or becomes ill after eating an ice cream and pursues a compensation claim, PLI will give you financial protection against the legal costs of any claim, whether it’s successful or not. Although not mandatory, at Park Insurance we strongly recommend you purchase PLI as part of your ice cream van cover. Specialist vehicle cover – You will be driving your ice cream van on the road, so you are legally required to have vehicle insurance. Remember that ordinary vehicle insurance won’t be enough – you need to look for commercial vehicle insurance that takes into account the unique nature of your vehicle. This could include cover for damage to on-board equipment such as freezers in the event of a road traffic accident. Stock cover – if your freezers break down you could lose your entire stock, which could cost you hundreds if not thousands of pounds to replace. Stock cover is designed to cover perishable stock, giving you financial security and peace of mind. Employer’s Liability Insurance – compulsory if you employ anyone in the context of your business operations, even if it’s only on a part-time basis. Legal expenses – At Park Insurance we always recommend that insurance to cover legal expenses is part of your package. Legal bills can run into thousands of pounds, whereas a legal expenses policy will cost you much less. Don’t leave it to chance – make sure your bespoke ice cream van insurance includes legal cover. With experienced, impartial advisers, a reputation for delivering tailor-made packages that are affordable and practical, and a deep understanding of the challenges you face every day, Park Insurance is your broker of choice. Find out more by using the Contact form to get in touch, or call one of our friendly team today for a free, no-obligation quote.